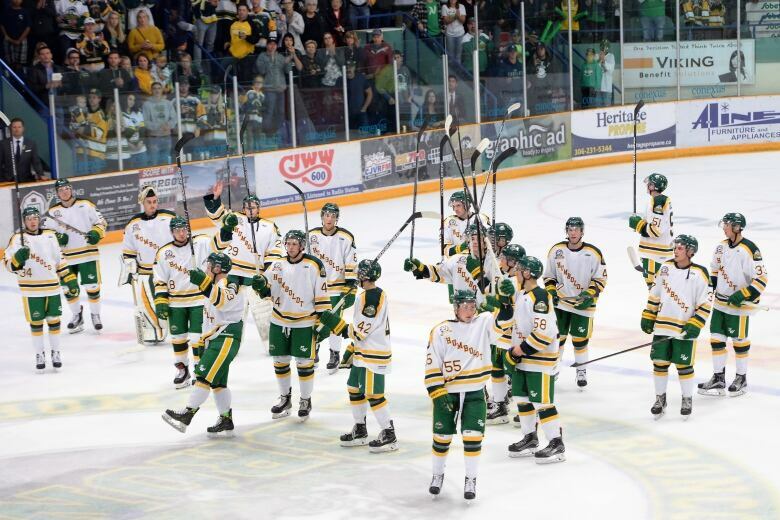 The Humboldt Broncos had an emotional return to home ice on Wednesday for their first regular season game since the deadly bus crash in the spring. 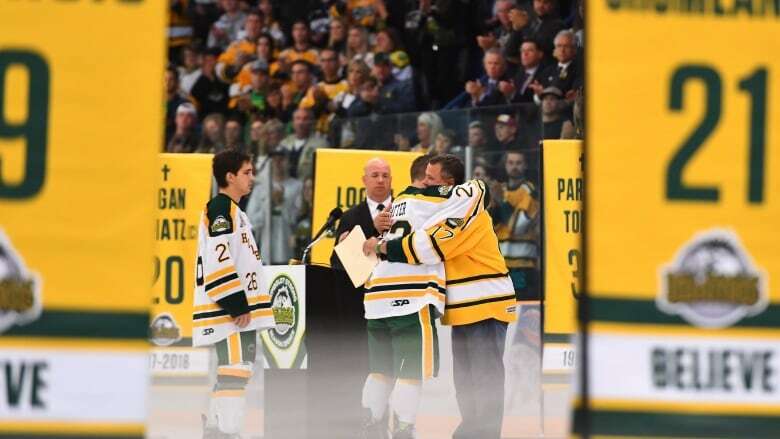 The Humboldt Broncos had an emotional return to home ice on Wednesday for their first regular season game since the deadly bus crash in the spring that killed 16 people. 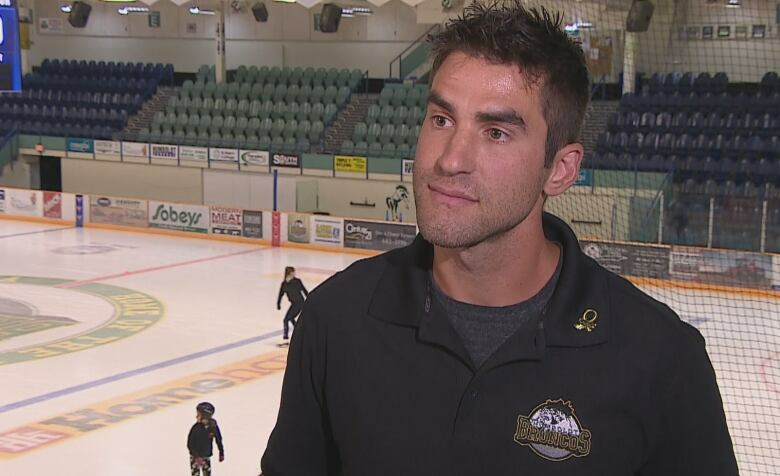 The opening ceremonies invited crash survivors onto the ice for a ceremonial puck drop and the crowd at the sold-out Elgar Petersen Arena went wild when the Broncos scored their first goal of the season. The Nipawin Hawks won 2-1, but the score was secondary on a night of raw emotion and remembrance. "We know that, while the darkness is much less, it will never truly leave us as it holds the love that we have left for those who are no longer with us and those who have been impacted by this tragedy," former Broncos president Kevin Garinger, who was the face of the team in the aftermath of the crash, said after the game. "But we will forever cherish their memories and honour their legacy and, as hard as it has been, we have and will continue to move forward with them and because of them." Scott Thomas, whose son Evan was killed in the crash, addressed the crowd on behalf of the families. "On behalf of all our sons and daughters, our fathers, brothers and sisters, our nieces and nephews, cousins, aunts and uncles — we want to thank everyone in this building tonight and everyone at home watching on TV," he said. "Thank you, thank you, thank you and thank you." After the game, a tribute banner ceremony was held in memory of the victims and survivors of the crash. Yellow and green banners with the names and numbers of each of the people on the bus that day were arrayed in a circle on the ice while pictures of the victims and survivors were shared on screen. After the banners were raised, the crowd gave a standing ovation in a powerful show of solidarity. Speaking at a Liberal caucus meeting in Saskatoon earlier in the day, Prime Minister Justin Trudeau said all of Canada would be cheering for the Broncos and spoke to the unimaginable shock, grief and trauma in April when the team's bus and a semi collided at a rural intersection. 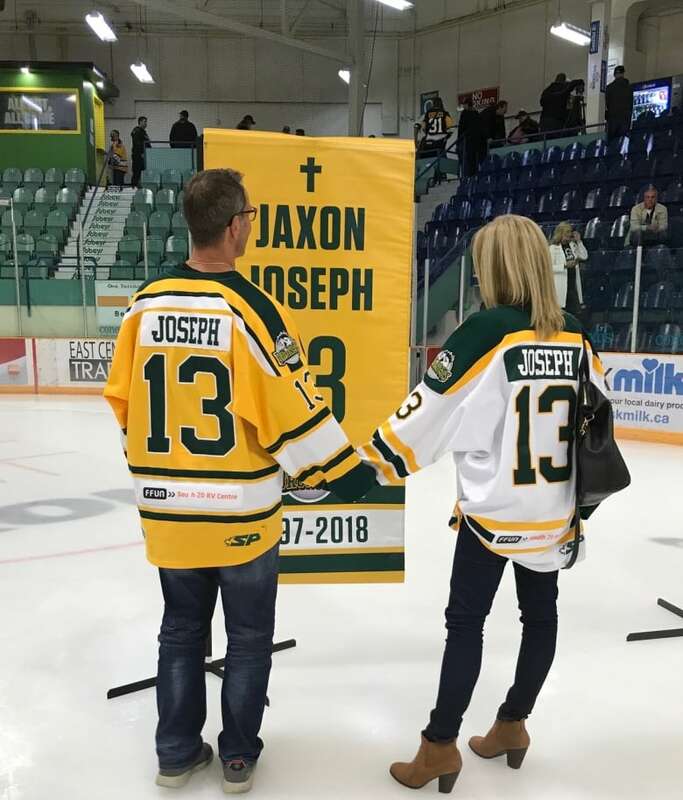 The Saskatchewan Junior Hockey League team were on their way to Nipawin, Sask., for a playoff game when the accident happened. The crash killed 16 people, including players, team staff and members of the media. "Canadians everywhere were heartbroken, and we mourned alongside the community," Trudeau told his caucus on Wednesday. "But in the wake of this tragedy, Humboldt has shown incredible resilience and strength. "Canadians were quick to share their love, support, generosity and kindness in a moment when it was so desperately needed. So to the people of Humboldt, know that we are with you. Know that we will continue to support you as you heal." The team spent the summer rebuilding and recruiting new players. Trudeau said he's glad to see the Broncos back on the ice and he wished them the very best. "You have us and 37 million fans cheering you on," he said to applause. New Broncos president Jamie Brockman spoke to the media Wednesday morning. He said he expected the game to present a wide array of emotions, including both joy and sadness. Brockman said the community has metaphorically circled the date on the calendar as a day to move forward. "We're going to find out what our new normal is after today," he said. Brockman said he had goosebumps at training camp at the end of last month and is excited to have hockey back in Humboldt. The Elgar Peterson Rink, with a capacity of 1,800, sold out in minutes, according to Brockman. Despite the eyes of the nation being on the team for their home opener, Brockman said the players will have their minds on the game. "As long as they focus on what they can control, they'll do fine," he said. Executive director with Partners Family Services Hayley Kennedy said a mental health support team will be at the rink. For the players, the home opener is surrounded by pressure, expectations and nervousness, Kennedy said. During this fiscal year, which started in July, the organization has seen a 20 per cent increase in people seeking mental health support in Humboldt. Kennedy said people in the community have each been grieving the crash very differently. "That can be really challenging, especially if your own timeline, or how things look for you, isn't what you'd expect from your neighbour," she said. "We are fortunate as a community that there has been a ton of support for us locally, provincially and from across Canada. That certainly has made a difference to know that we have such strong support." Mark Popovic is the skills and development coach for the Broncos. Popovic said his role, which is typically reserved for NHL teams, will not be to act as an authority figure for the players, but more of a confidant. "It can be a little bit of a lonely world in junior hockey. Most of these players are living away from home, they're living with host families," Popovic said. "It's nice to have someone you can trust and open up to and who's been there before. "One of the reasons I started doing this stuff was because when I was in junior hockey it was something I really needed as a player and a person, somebody to confide in, to talk hockey, to talk life, outside of your parents and the coaches." Cory Popoff, Humboldt Collegiate Institute principal, said the new school year has offered a new beginning for students. "I can tell every day we're moving closer to being OK. We're starting to laugh a little more. We're starting to have more fun," he said. "It's tremendous to see. We've definitely turned a corner in that regard." Last year, students were offered support from personal counselors and mental health counselors from the community, school division, health region and surrounding areas. There is also an in-house counsellor at the high school. Similar supports were extended to school staff. "Acknowledging the tragedy I think was one of the toughest things we've had to do as a staff and as students," he said. "One of two things can happen as a result of a tragedy like this, you either break up or you become a stronger family. "We became a stronger family." Popoff said the teachers have been diligent when it comes to keeping tabs on students. 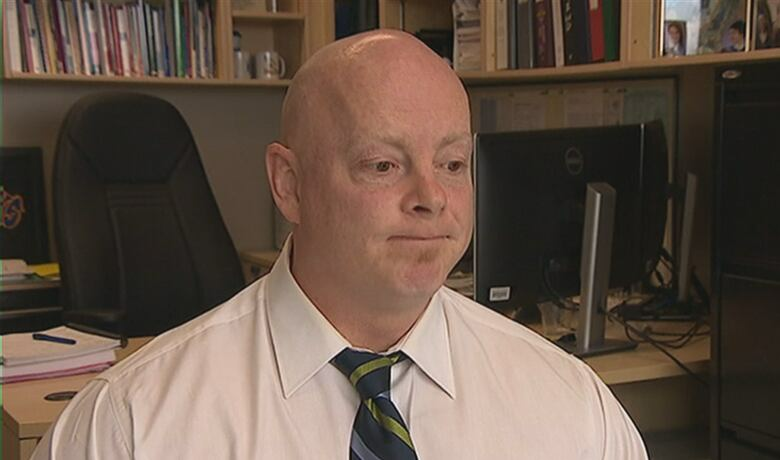 "We're able to find out almost immediately if a student is struggling and is outside their normal behaviour," he said. Popoff is a Broncos season ticket holder and said he would be attending the home opener. He said he expected to see many of his students at the sold-out game. "Our community is very good at supporting our Broncos through thick and thin, through good times and bad," he said.